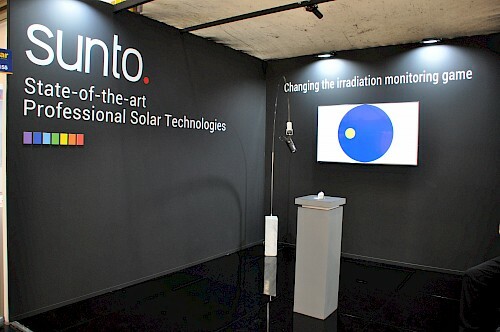 The ESA 2.0 project aims at bringing to the market CaptPro, an innovative smart and handy all-out solar irradiation sensor featuring innovations in terms of technology, capabilities and cost that significantly exceed limits and downsides of irradiation assessment tools commercially available. As the photovoltaic industry has exponentially grown towards large scale installation over the last years, the need for accurately monitoring the solar resource increased sensibly. Historically, the PV industry has relied on monitoring stations for irradiance measurements, i.e. bulky and expensive equipment featuring pyranometers, pyrheliometes and sun trackers. Because of their severe economic and operational limits though, this solution does not allow for fine grained detection and intelligence of system failures causing losses of production, hence of revenue, and low efficiency of maintenance operations. To overcome setbacks and downsides of the commercial irradiation monitoring technology, we designed the ESA 2.0 project. The ESA 2.0 project aims at bringing to the market CaptPro, an innovative smart and handy environmental sensor featuring innovations in terms of technology, capabilities and cost that significantly exceed limits and downsides of irradiation assessment tools commercially available. By enabling a simple and efficient single-tool monitoring it empowers plant managers to perform a precise and accurate characterization of the PV performance, that directly translates into room for optimizing profitability. CaptPro is an handy and portable solar sensor that measures global, diffuse and direct irradiation with no need of tracking systems or moving parts. 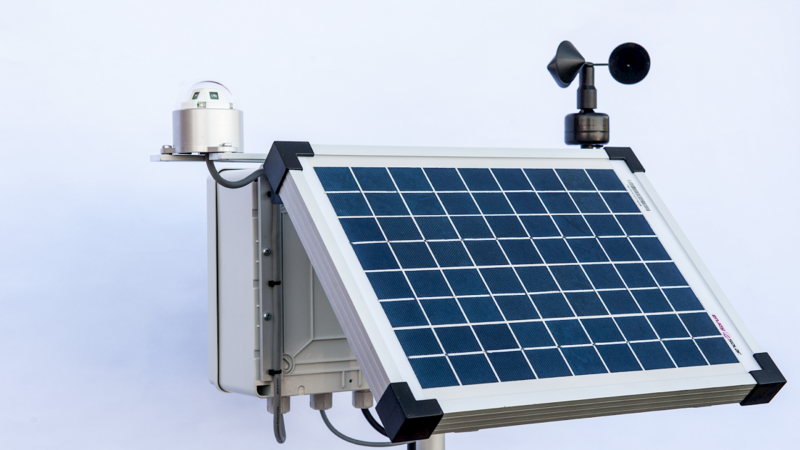 It has been designed to substitute the full set of bulky and expensive instruments traditionally employed for irradiation monitoring purposes – pyranometers, pyrheliometers and sun trackers – with the aim of delivering seamless, high-precision irradiation monitoring capabilities to the PV and to the meteorological observation industries. If coupled with WDS, its sun-fueled Wireless Docking Station, CaptPro can also be configured in wireless distributed networks thus enabling highly accurate, distributed irradiation monitoring. Its complete outstanding monitoring capabilities, together with its small size, extremely easy installation mode and very low maintenance needs, make CaptPro the answer to a number of industrial and scientific application needs: from the O&M of photovoltaic installations, where it dramatically lowers the cost for effective irradiation monitoring thus making room for profitability optimization, to environmental observations, where it brings at hand the possibility to perform a complete irradiation monitoring at single, small meteorological station level; from the building energy management systems industry, where it enables the optimization and fine-tuning of heating- and cooling-related energy consumption, to plant science and precision agriculture, bioclimatic building design and canopy modelling studies. CaptPro is an Alitec proprietary technology, and is object of a pending international patent application. 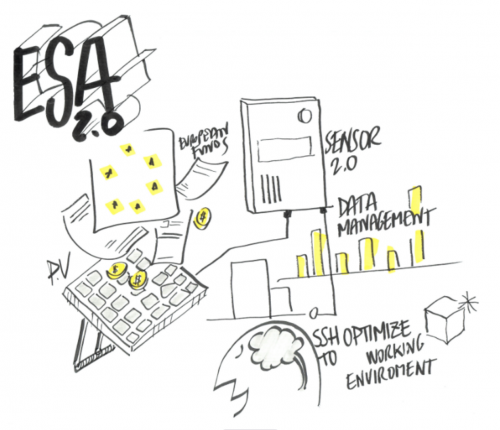 The ESA 2.0 project is currently ongoing, and results are being achieved day by day – follow us for news and updates ! The Capt technology has been exhibited at the MTW Expo 2018! The MTW Expo is the world leading event for next-generation weather forecasting and climate-change measurement technologies. In the 2018 edition the Expo will hosts the World Meteorological Organization’s CIMO-TECO conference. Thanks showing up @ Booth # 8050 & look forward to following up! 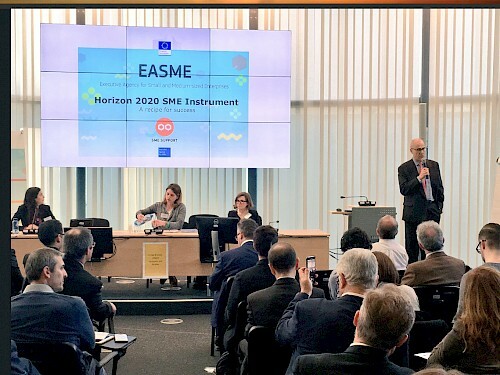 The ESA 2.0 project and the CaptPro sensor have been presented at the 2018 WMO/CIMO Technical Conference on Meteorological and Environmental Instruments and Methods of Observation (CIMO TECO-2018), the leading international gathering experts in instruments and methods of observation from National Meteorological and Hydrological Services, research institutes and the private sector. 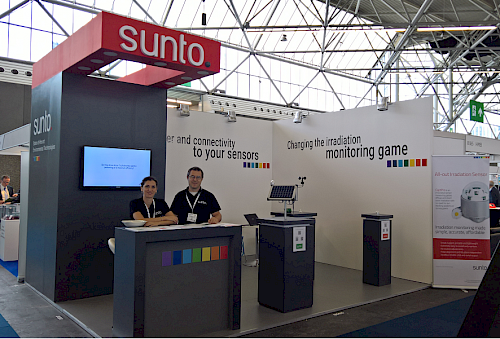 The CaptPro sensor is being presented at the 35th edition of European PV Solar Energy Conference, the leading event that brings together the most advanced R&D research teams, experts and innovators from the global PV community. 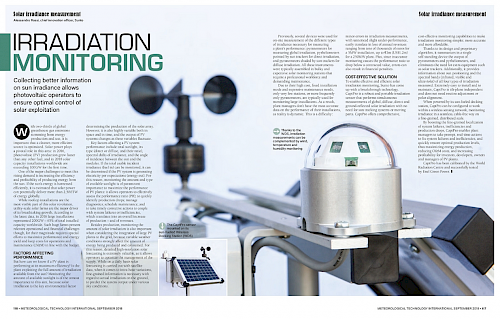 The CaptPro sensor is in the September 2018 issue of MT International, the leading magazine of the meteorological technology industry. Thanks for visiting us! We look forward to collaborating with you. The ESA 2.0 project will participate with some prototypes of the CaptPro sensor to the 8th International Broadband SpectroRadiometer Intercomparison that will be hold from 4-8 June 2018 at the location of INTA in Madrid (Spain). 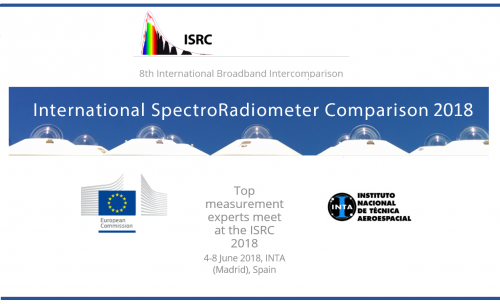 The annual International Spectroradiometer Intercomparison is an event yearly organized by the European Joint Research Center (JRC) that gets together top European research laboratories and companies for checking and comparing their primary instruments for broadband and spectral solar irradiance measurements. The Capt technology will be presented at Intersolar Europe next June! 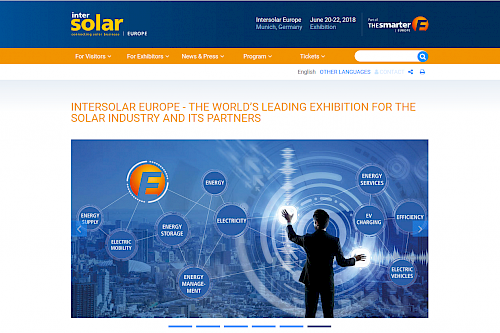 Intersolar is the world’s leading exhibition for the solar industry. It will be the stage for presenting Capt to the worldwide PV business and industry community. Visit us there @ Booth # B3.155 & stay tuned for news from the event! The ESA 2.0 project has participated to the Shape Energy Sandpit. 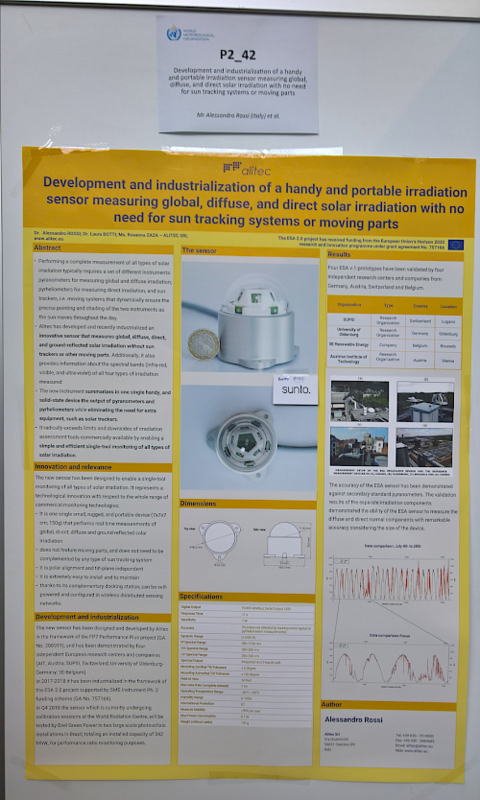 During the event the project has been disseminated through posters and presentations, and the ESA 2.0 project managers had the chance to network with international research organizations like WIP Munich involved in bringing about system optimization and smart technologies in the energy industry. 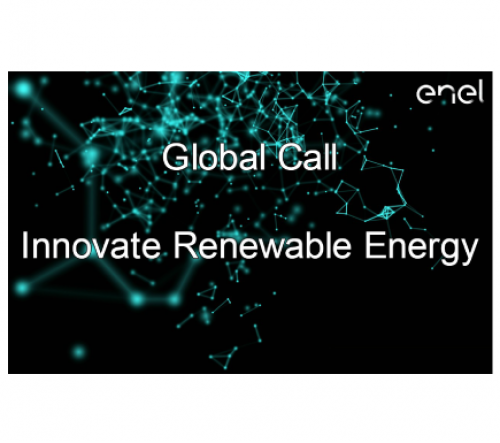 The ESA 2.0 project has applied to the Challenge for Innovative Renewable energy launched by Enel Green Power Open Innovability Initiative with the ESA 2.0 project. News from the awarding Jury coming soon, stay tuned! 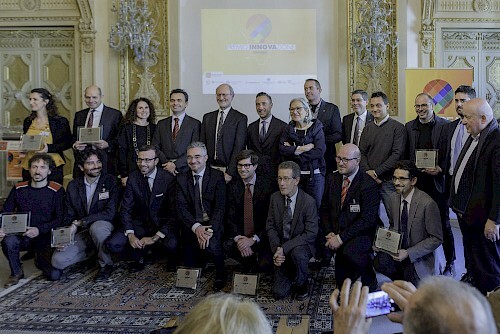 The ESA2.0 project has been awarded by the Tuscany Region and other authorities sponsoring the Premio Innovazione Toscana, dedicated to the most promising innovations from Tuscan companies. The ESA 2.0 project has applied to the EU SUSTAINABLE ENERGY AWARD 2017! The EU Sustainable Energy Awards recognise outstanding innovation in energy efficiency and renewables. With prizes awarded by an expert jury and European citizens, the Awards competition highlights new ways to shape Europe’s energy future. 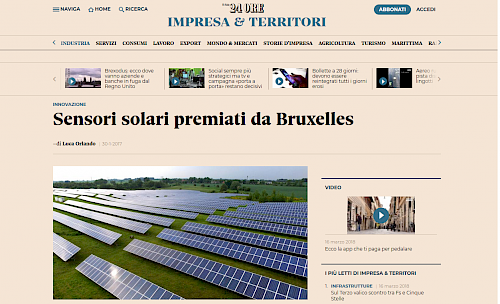 The ESA2.0 project has made the news in Il Sole24 Ore, the leading Italian newspaper dedicated to the most relevant economy & finance topics. Alitec is an R&D company located nearby Pisa, Tuscany, within the Navacchio Technology Hub. Our mission is to create original and technologically advanced solutions bringing high value at limited costs, with the aim of bringing about the change we want to see in the world. We are partner of Photonics21, the European technology platform that brings together the most innovative companies and leading research centres in the field of photonics. Esa 2.0 is an Alitec’ s project. The sole responsibility of the contents published in this website is of Alitec and it only reflects Alitec’s view. The EU and the EASME Agency are not responsible for any use that may be made of the information it contains.